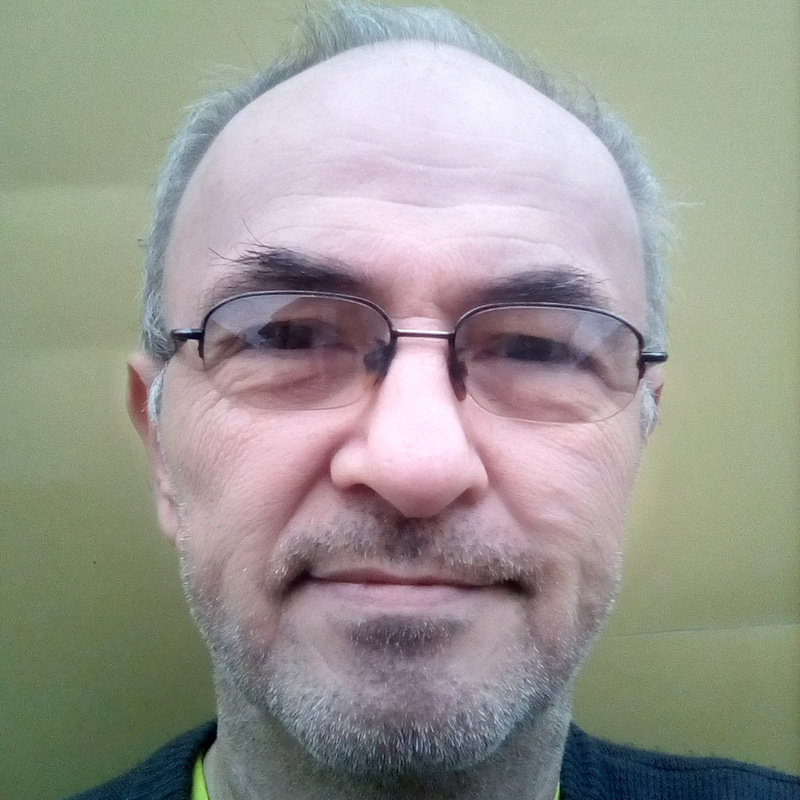 You are about to read who I am: Milan Karakaš from Croatia. For those who are not familiar with Croatian letters, just Milan Karakas. Doesn’t matter how you pronounce this letter. Born in Croatia, year 1962, in relative small town Vinkovci, and still live there. I am electrician by my education, but my hobbies gives me insight into many other things, such as electronic, flying RC airplanes and quad-copters, and many more. Maybe. Some people see me as eccentric, and maybe I am. Almost all my life I am trying to be ‘normal’, whatsoever this means. But, someone told me honestly that I am little bit eccentric, so after some thinking, I gave up of trying to be ‘normal’ by any definition. I am who I am, I can’t change anything about me and my life. In the same time, I am not forcing to show to people that I am eccentric, but also did not hesitate to do many eccentric things. Why no high-er education then?! Well. At first, I was very intimidated by amount of learning in short time to get some diploma. And it may cost a lot, not only in $$, but also frustration and related things. Good period of my life wondering whether I should to go to some high school, but always got the same conclusion: diploma is just a paper, real learning actually never stops. Especially today, when internet is present, which was not so in my growing phases. Anyone who want to know more, there is plenty of things to learn over the internet. Maybe more than good old way of reading books. I read many books about physics, optics, lasers, radio and electronic, but all of that is just some foundation for continuation of learning over the internet. So far, as situation developing, no bright future, nor fixed plans. I am trying to share my accumulated knowledge with others, mainly over my YouTube channel(s), and now on this website. but it is not always easy. It is not just about common knowledge, but some peculiar findings that make many things interesting. That is why I call it wild. Thank you for visiting my wild website. Oops, sorry. Nisam vidio ovaj komentar još od osmog mjeseca. Da, bilo bi dobro da zalemiš taj komad od 29 mm na kraj antene kako je objašnjeno u mom postu, to poboljšava domet i to dosta. Hvala na posjeti. Milan, I just happened on your site while I was looking for any tutorial on the SI4432. THANK YOU for posting the sample RX/TX application! I have read the datasheet but seeing example code is a HUGE help! I will adapt it for the STM8S103 microcontroller. Be well! And be sure to download and install helper; “Wireless Development Suite”, or WDS for short. It may give you calculator and guidelines for various projects. I am sorry that I did not continue work on Si chips, which I will eventually. Currently working on too many other things. Enjoy! Pokusavam reproducirati vas projekt sa sonarom ali imam problema jer mi bilo sto dalje od 20 cm javlja kao sum. Postoji dvije vrste ultrazvučnih daljinomjera, jedan ima dodatni tranzistor, druga vrsta nema. Dali tvoj UZV uređaj ima taj tranzistor i dali si zalemio točno kako je opisano na stranici? Moja greška je što sam neke postove stavio kao blog-postove, a neke kao stranice. Nisam znao da se na stranicama ne može komentirati. Kad budem imao vremena to ću prebaciti. Nadalje… dali si napravio RC filter točno kao na slici (žvrljava olovkom)? Ako nema tog filtera, imaš onda puno vrhova, no ni onda ne bi trebao imati šum, samo više točaka umjesto jedne – kod jedne refleksije. Dali imaš osciloskop? Sa mojim uređajem, mogao sam vidjeti refleksije do dva metra, ali samo veće objekte, kao što je moje tijelo, ili neka knjiga – pod uvjetom da je okomito okrenuta prema transducerima. Vidim na YouTube-u da je to zanimljiva tema, no kako sam svestran… odem preširoko. Trenutno sam bolestan i kad ozdravim, nastavit ću sa radom na tom sonaru, ali ovaj puta ću raditi sa STM32 – daleko je brži a košta isto. Jedino je problem što se treba naviknuti. Ako imaš pitanja, slobodno pitaj. Pozdrav!